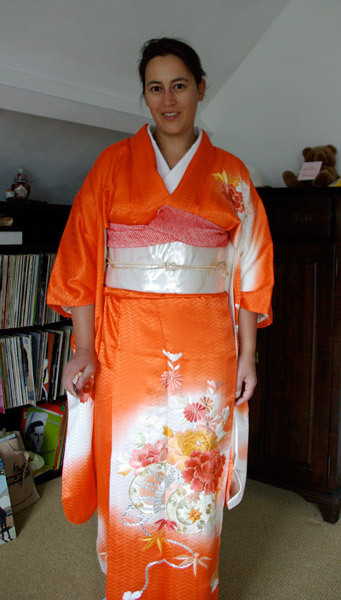 Just Another Kimono Blog: Biyosugata! Finally the biyosugata arrived a week ago! Unfortunately customs had gotten a hold of it, but most important is that it's here! The hardest bit is to put it on. But as these pictures show, I got it on! My kitsuke is messed up, but hey, at least I've nailed it haha. Looks very good for a first attempt! 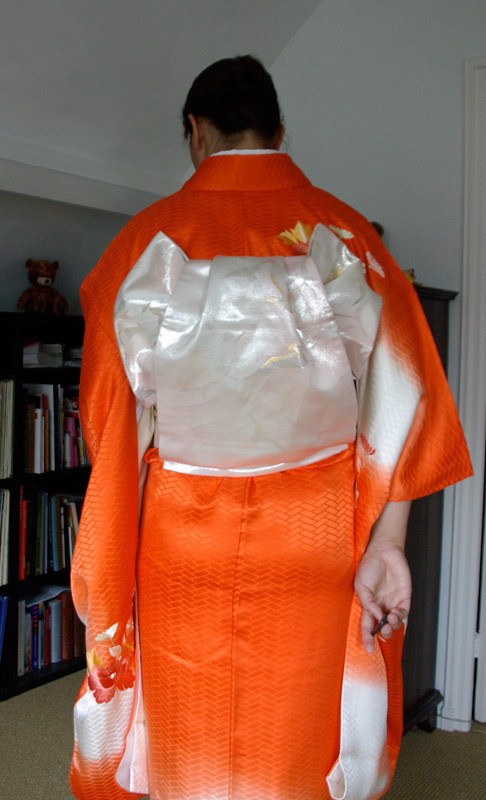 Putting the obi on with biyosugata is tricky at first but it will get easier. Thank you Xiner! Isn't it that practice makes perfect?